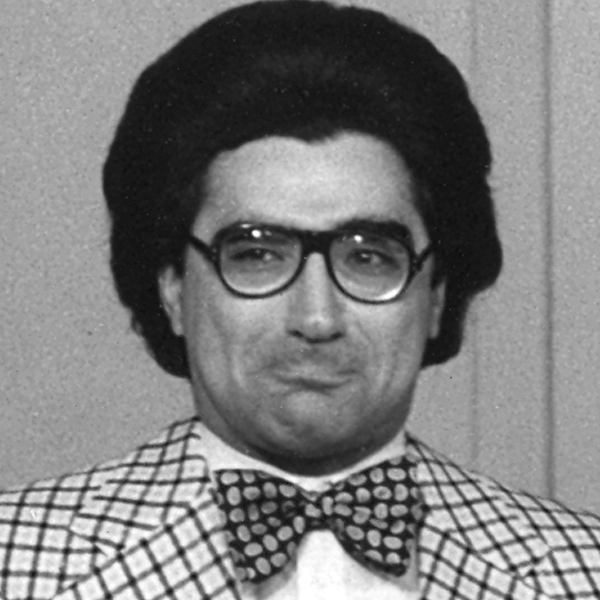 Eugene Levy was was in the first Second City Toronto cast at the Old Firehall in 1974 after playing Jesus in the now-legendary production of Godspell, a show that included a then-unknown lineup of future legends Martin Short, Gilda Radner, Andrea Martin, and music director Paul Shaffer. After his stage time on the Toronto stage, Levy starred alongside fellow alums Catherine O’Hara, Martin, and Short in SCTV, a show where Levy impersonated a wide range of celebrities and created a variety of iconic characters, including Woody Tobias Jr., Dr. Ernest Bruter, and Bobby Bittman. For his work on SCTV, he won an Emmy for Outstanding Writing in 1982 and 1983. In 2002, SCTV was inducted into the Canadian Walk of Fame. Levy ishas had film roles in Armed and Dangerous, The Man, National Lampoon’s Vacation, Splash, Father of the Bride, Finding Dory, and American Pie, where his turn as “Jim’s Dad” introduced him to a new generation of fans. His collaborations with Christopher Guest include the comedy gems Waiting For Guffman, Best in Show, A Mighty Wind, and For Your Consideration. For A Mighty Wind, Levy won a Grammy Award and a New York Film Critics Choice Award. His television roles are also abundant, and he has been involved in a number of variety specials with Martin Short, along with Billy Crystal’s Don’t Get Me Started. He also co-created, writes, and stars in Schitt’s Creek with Catherine O’Hara. Levy returned to Second City Toronto in July of 2017 to participate in Take Off, Eh, a benefit Spinal Cord Injury Ontario and Dave Thomas’ nephew, Jake Thomas. The show raised more than $325,000, and performers at the event included some of Canada’s biggest names in comedy and music.